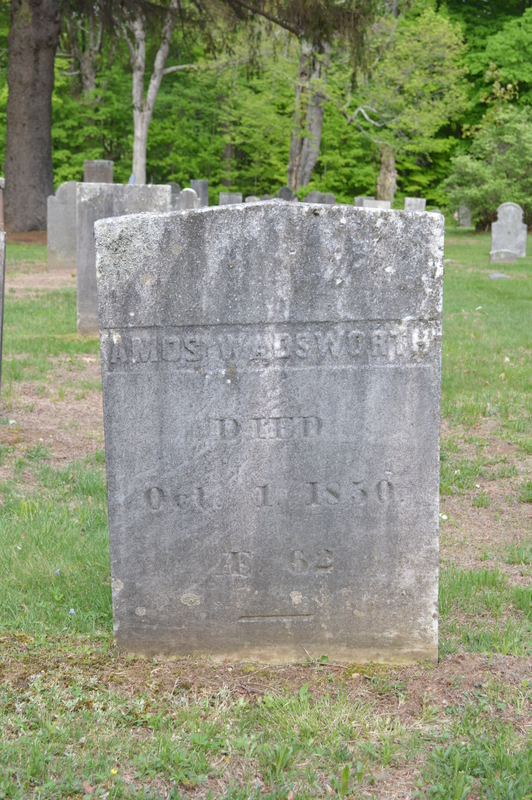 The grave of Amos Wadsworth, father of Louis Fenn Wadsworth, in Litchfield’s East Cemetery. The man responsible for baseball as we know it today was a Litchfield native. Louis Fenn Wadsworth was born to Amos and Amanda (Mann) Wadsworth in 1825. Amos and Amanda were both Farmington natives. It seems likely that the extended Wadsworth family (including Amos’s brother James and his family) lived at 94 North Street, property they bought in 1819 after taking out a loan with the Phoenix Bank. 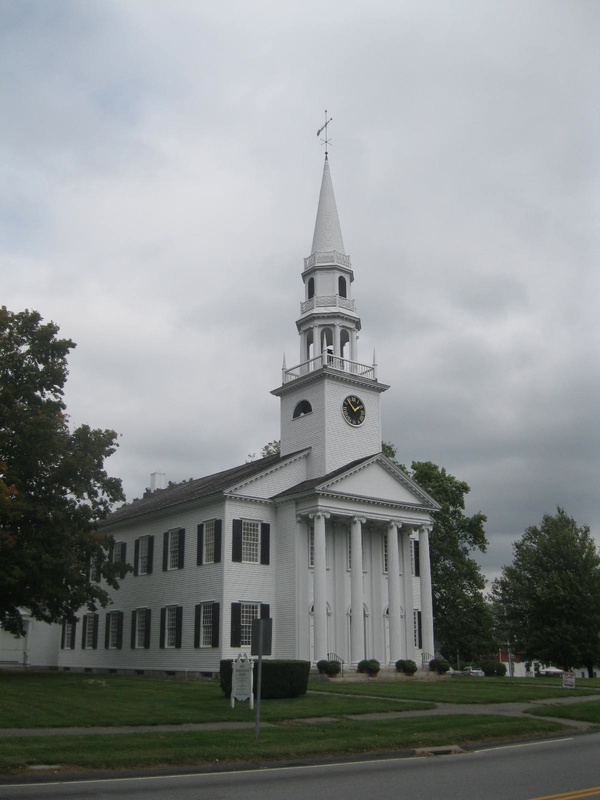 Amos and his brother ran a business, J.C. & A. Wadsworth, located “one door west of the court house,” which sold clocks they manufactured in a factory on South Street (where Route 63 intersects with Camp Dutton Road. In fact, one of the few extant references to Amos Wadsworth is a complaint filed against him with the Litchfield Nuisance Committee for putting a fence across what is now Camp Dutton Road). 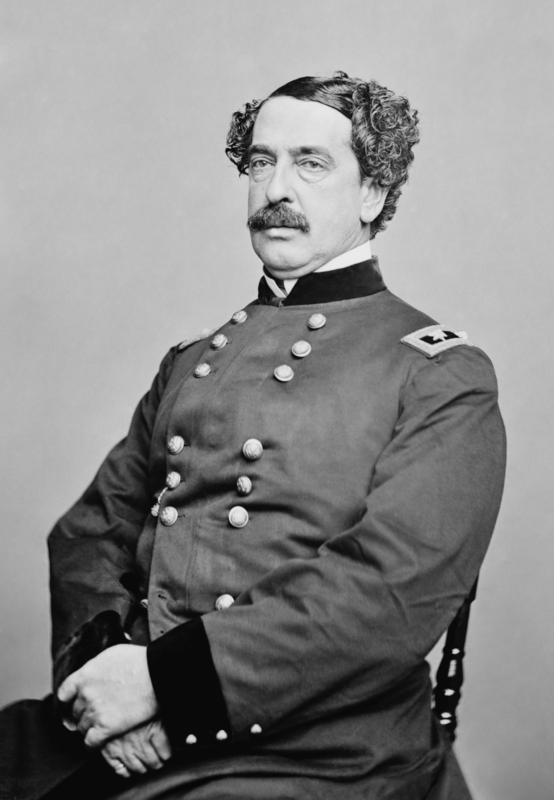 Louis graduated from Hartford’s Washington College (now Trinity College) in 1844, moved to Michigan where his father had land interests (and where Amanda moved after Amos’s 1850 death), and returned to the east coast to practice law in New York City in 1848. 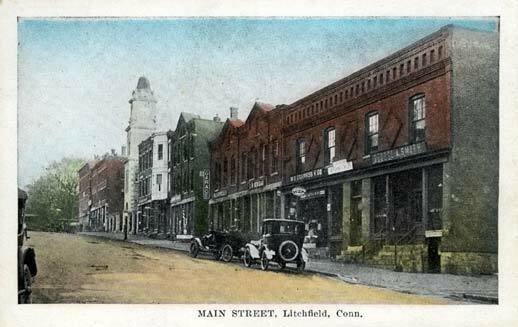 Louis is listed as living there in probate records from 1850, when Amos died insolvent in Litchfield, his fortunes fading after a fire destroyed the factory around 1833. While Louis would go on to a career as a judge in New Jersey, it was baseball that was his great passion. The New York Knickerbockers and Excelsiors, 1859. 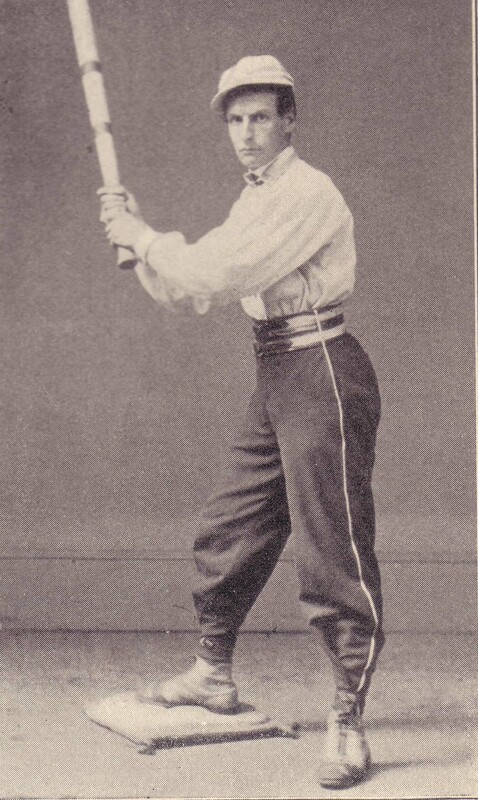 A baseball player, c. 1860. I had almost forgotten the most most important man on the team and that is Lew Wadsworth. He was the life of the club. Part of his club suit consisted of a white shirt on the back of which was stamped a black devil. It makes me laugh still when I recall how he used to go after a ball. His hands were very large and when he went for a ball they looked like the tongs of an oyster rake. He got there all the same and but few balls passed him. 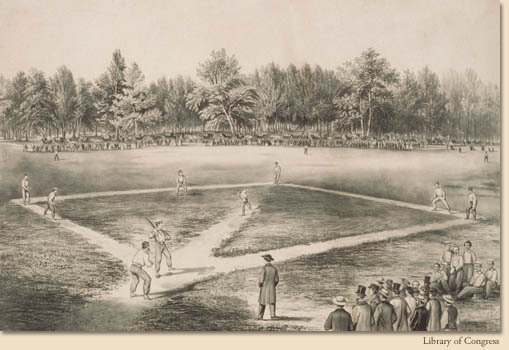 The game that Wadsworth played in 1850 bore only slight resemblance to today’s National Pastime. The distance between the bases had not yet been set to 90 feet, nor was there an officially established distance from the pitcher’s mound to home plate. 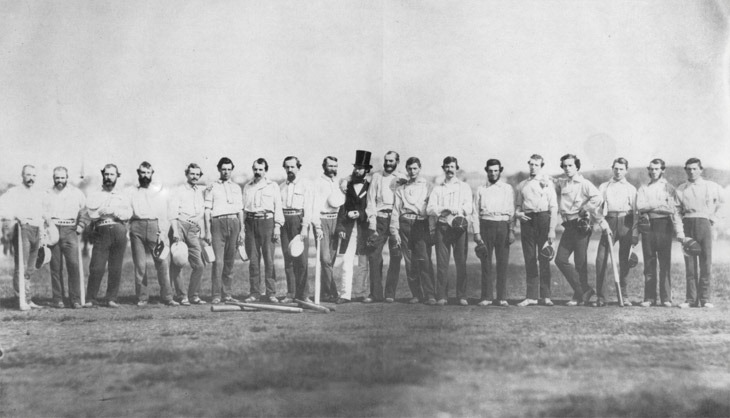 A rules committee meeting was held on February 25, 1857 to decide these and other provisions for the game. Popular opinion held that games should be seven innings, with teams’ fielding seven players. Wadsworth was something of a lone wolf, arguing that both the number of innings and players be set at nine. 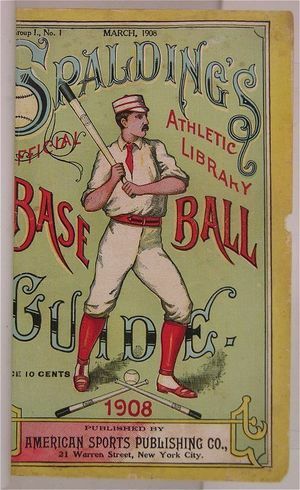 The 1908 Spalding Guide, which contained the report of the Mills Commission on the origins of baseball. 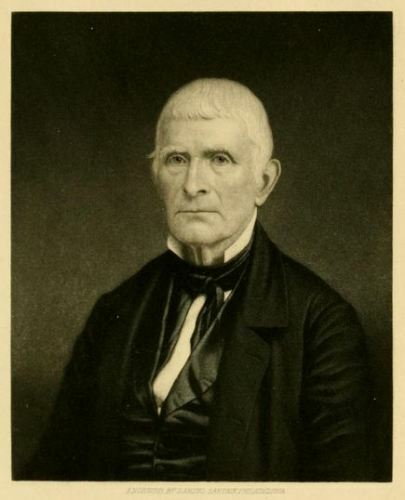 Seth Thomas was born in Wolcott, Connecticut, in 1785. His education reportedly consisted of only a few weeks in grammar school before he began work on the family farm. When Seth was 12, his father died and his mother sent him off to be an apprentice to Daniel Tuttle, a neighboring carpenter. Tuttle taught Thomas arithmetic, the use of tools, and the principles of running a business. At the age of 21, Seth Thomas struck out on his own to be a carpenter. 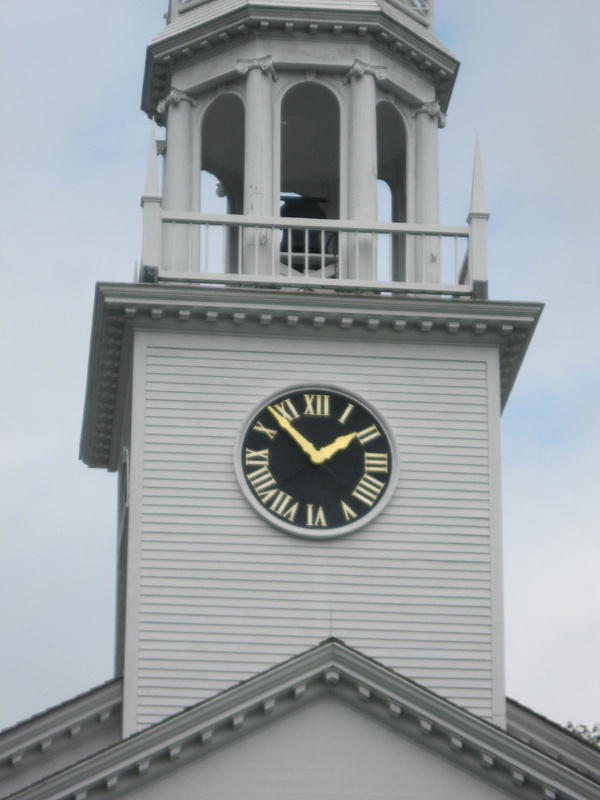 This Connecticut tercentenary sign on Main Street in Thomaston commemorates the region’s clockmaking history. 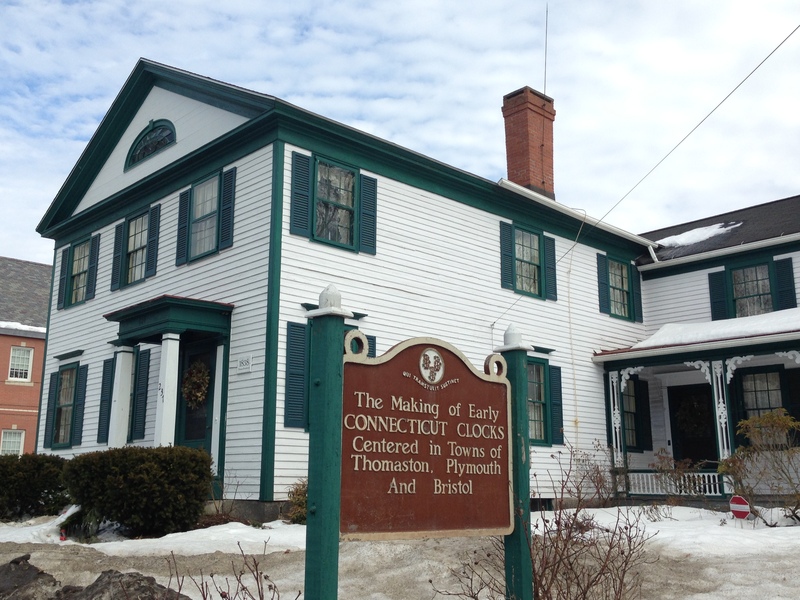 Around 1806, Thomas went to work for Eli Terry, the nation’s leading clockmaker. Using his carpenter skills, Thomas outfitted Terry’s Plymouth factory with stools and benches, then made the various gears in the internal mechanism of Terry’s clocks. 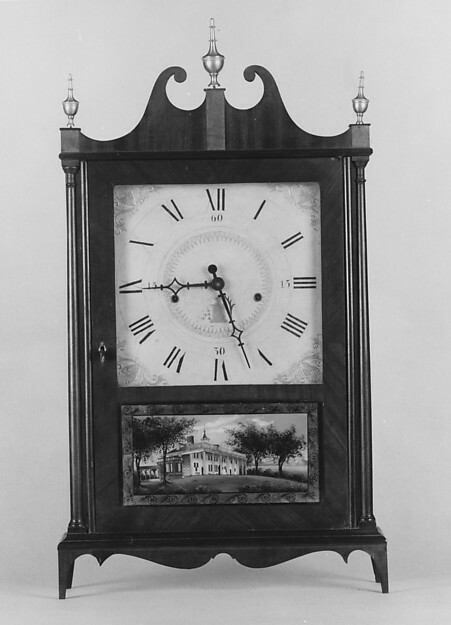 In 1810, Terry sold his business to Thomas and Silas Hoadley, who formed the Thomas and Hoadley Mechanics and Company and continued making the grandfather clocks that Terry had popularized. The partnership was short-lived however, and by 1813, Thomas had struck out on his own. 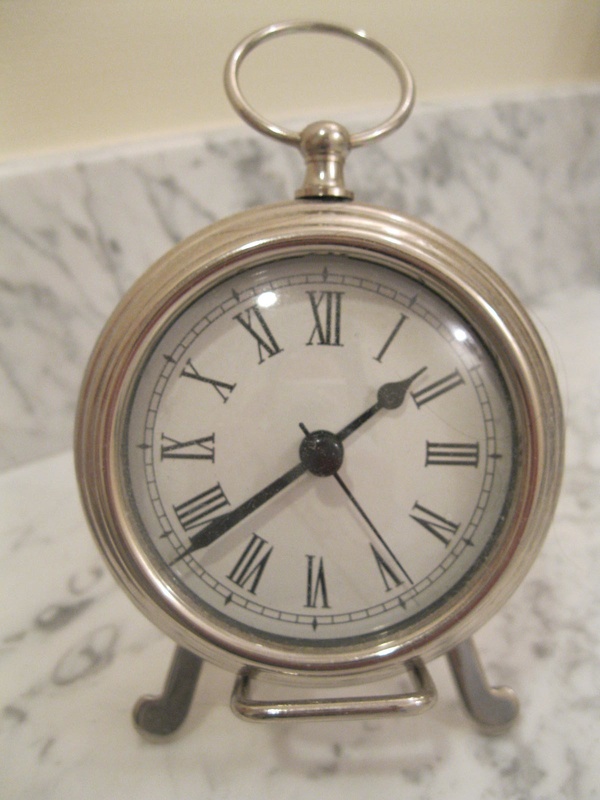 A Seth Thomas shelf clock, c. 1820. Courtesy Metropolitan Museum of Art. In looking for a location for his own factory, Thomas found a site on the Naugatuck River in what was then known as Plymouth Hollow, which would be renamed Thomaston. 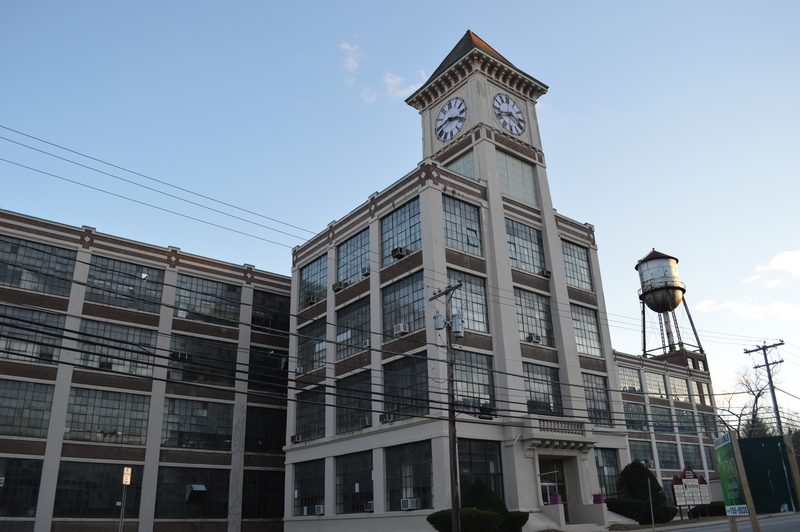 (This is the site where the Seth Thomas Clock Factory still stands.) Plymouth Hollow was a community of only 20 houses at the time, but Thomas’s factory would soon bring excitement to the town. Operations began early in the morning, and workers put in twelve hour days for a daily wage of between 75 cents and $1.25. Thomas ran a company store for his employees and occasionally sponsored dances. 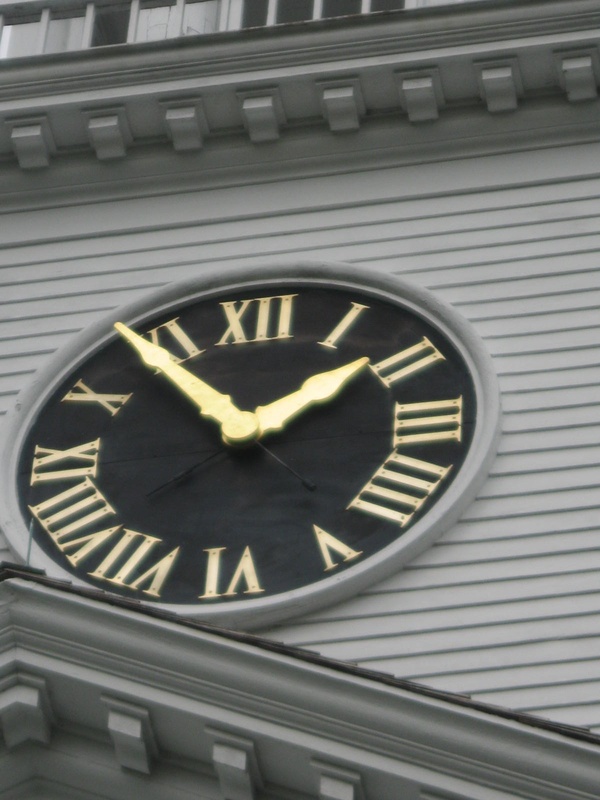 Initially his factory produced the same type of grandfather clock he made with Hoadley. 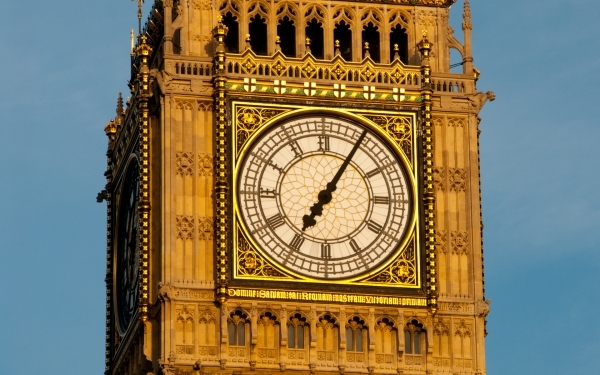 However, when Thomas’s mentor Eli Terry developed a cheaper shelf clock, the market for the “tall clock” nearly dried up. Fortunately for Seth Thomas, Terry was overwhelmed with orders and sold the rights to the patent to Thomas for $1000. Clocks were sent by ox cart to New Haven for shipment to New York. Business was so brisk that by 1825, both Terry and Thomas had made $100,000 in profit, and Thomas spawned cottage industries across the town in making cases and transporting supplies and products. In later years, Thomas diversified his business holdings, opening a cotton mill in town, sponsoring railroads, and dabbling in real estate development. 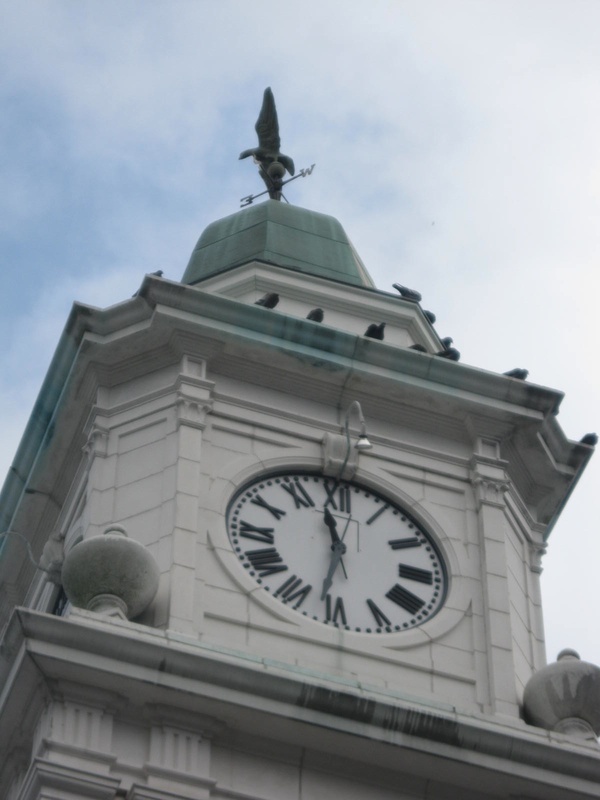 In 1853, he incorporated his business as the Seth Thomas Clock Company, so that operations could continue after his death, which came in 1859, when Thomas was 74. 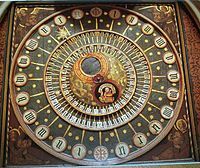 His clocks lived on, incorporating new brass parts, expanding into watch, alarm clock, and marine clock production, and made the famous tower clock in Grand Central Station. 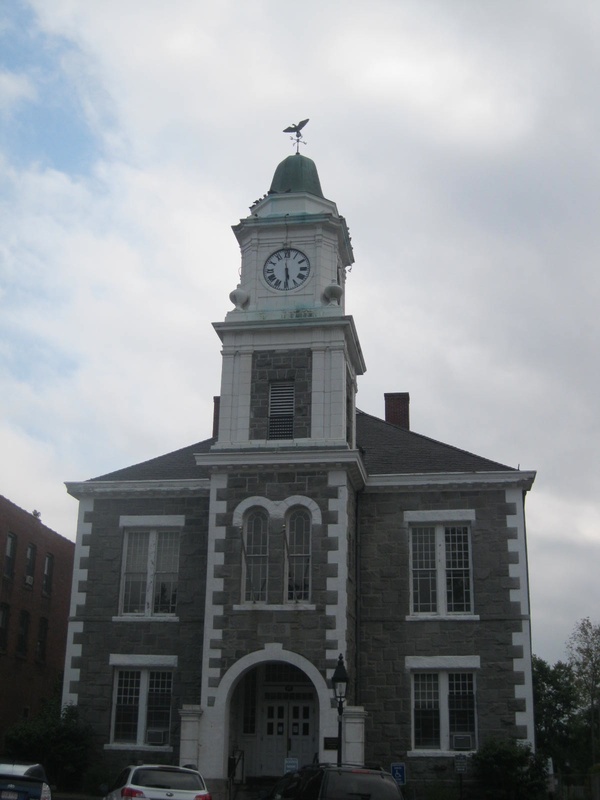 The Seth Thomas Clock Factory building that stands on Main Street in Thomaston was built around 1915, and was severely damaged in the Flood of 1955. Eventually the company was bought by the General Time Corporation, which itself was bought by a series of other corporations. Operations ceased around 1980, but the name Seth Thomas lives on in the quality of his clocks, and in the name of the community, which separated from Plymouth in 1875.